Blizzard Beach is one of 2 Disney-owned water parks at the Walt Disney World Resort in Florida. 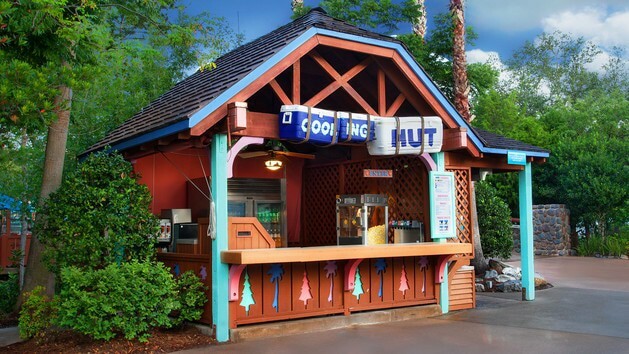 Located near Disney's Animal Kingdom, it is a popular option for many guests wanting to take a break from the major theme parks. Park Hopper Plus tickets used to be called "Park Hopper + Water Park Fun & More" and they allow you to park hop between the 4 main theme parks, plus they give you extra entry entitlements into venues outside of the main parks. You used to be able to add just the old "Water Parks Fun & More" option to your ticket without also adding the Park Hopper option but that is no longer available - if you want the water park "Plus" option you must also add the Park Hopper option. 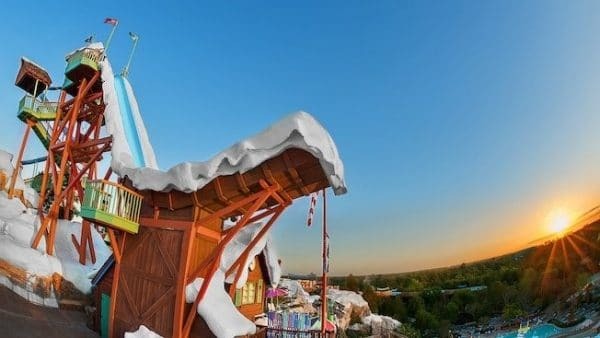 Want to compare Blizzard Beach ticket prices to see which makes most sense for you? 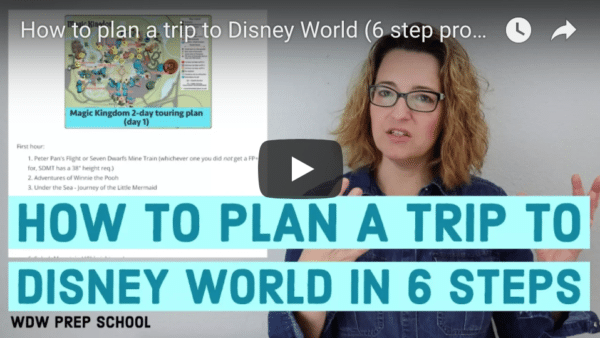 We have a ticket spreadsheet that has all the best full price and discount Disney World ticket options available to help you save money on your trip. Want a map you can download? Check out the the PDF of the Blizzard Beach map. Like all Walt Disney World parks, the hours for Blizzard Beach are posted 180 days in advance. 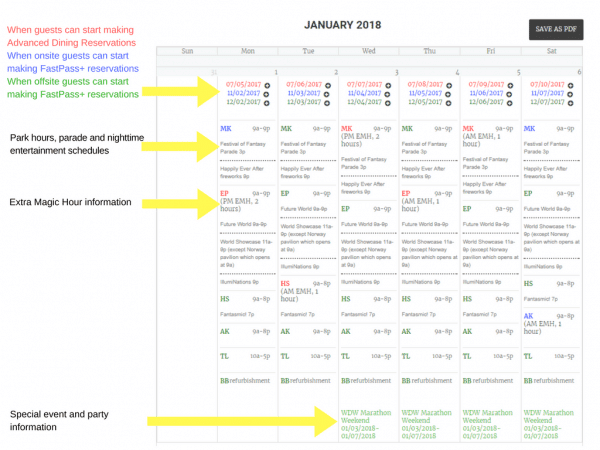 To make it easy, we compile all park hour information in one spot on our Crowd Calendars so you don't have to. Visit your Monthly Dashboard now to find the Blizzard Beach park hours for your trip. Don't forget to sign up for the free email alerts while you're there! 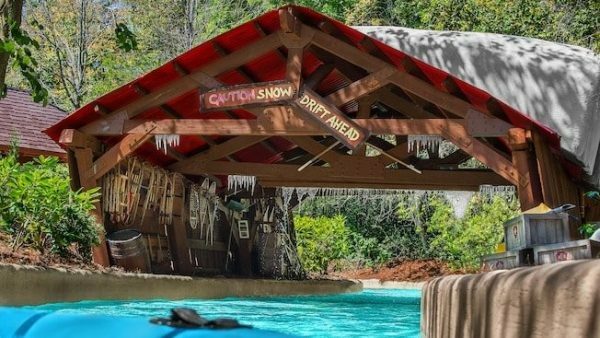 The water at Blizzard Beach is heated, making the park a good choice to visit during most days of the year; however, during inclement weather or if an extended bout of cold temperatures are predicted, Disney will close the water parks. 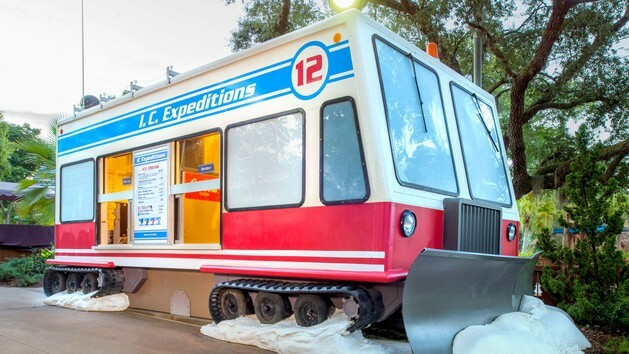 All of the Blizzard Beach attractions are listed below. If you arrive at park opening, do things in this order: slides, lazy river, wave pool. Note: Even though many of the slides may not have a height requirement it is important to know that some empty into water that can be quite deep and anybody riding a slide that requires the use of a raft must be able to hang onto their raft independently (you can't hold your child on your lap, for example). A 1 acre wave pool that is a lot more gentle than its counterpart at Typhoon Lagoon. Tips: Save Melt-Away Bay for later in the morning or afternoon when the lines for the slides are the longest. Chairs around Melt-Away Bay fill up early so be sure to snag one of those at opening if you want to be nearby. 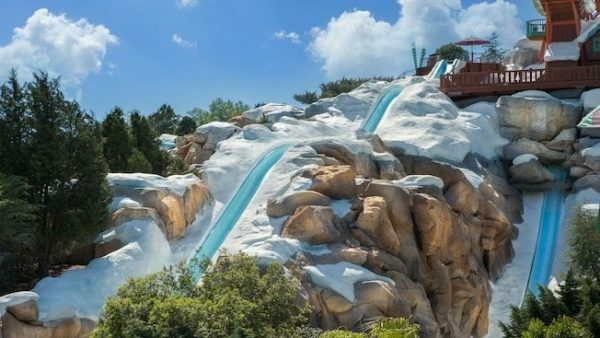 3,000-foot-long lazy river filled with plenty of opportunities to get doused with "melted snow". Tips: Save this attraction for the afternoon when the lines for the slides are long. This fun area is designed to give pre-teens a set of water obstacles and their own slides that are just right for those not quite ready to tackle the bigger versions in the rest of the park. Recommended? Yes. This area is a great area for pre-teens to test out some fun slides without having to worry about things being too intense. Tips: There are chairs around the edges of Ski Patrol Training Camp that make it easy to sit and relax while your tweens hit the slopes. 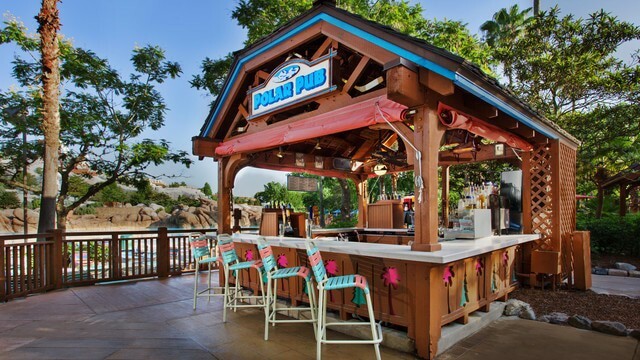 Polar-themed play area that allows smaller guests the opportunity to ride their own pint-sized slides. Tips: This area is very child-friendly and is the perfect spot to let little ones explore the water. 3 totally different rides propel you down the backside of Mount Gushmore before splashing down into a pool at the bottom of the mountain. Tips: The center slide is totally enclosed so if you are leery of enclosed spaces choose one of the outside slides instead. The sister slide to Summit Plummet, this extreme ride may not be quite as intense as its neighbor, but it still packs quite a punch and includes maximum thrills. Tips: Visit this slide first thing in the morning or close to closing for the shortest lines. These slides have guests racing down belly-first on mats shaped like toboggans. There are 3 slides available, each with a slightly different experience. Tips: Since there are 3 slides you can race your family and friends to the bottom for added fun. This 12 story tall monster is the signature attraction of Blizzard Beach and is known for intense thrills (and intense wedgies). Tips: There are benches nearby that let you catch the action at the bottom of the mountain. If you plan on riding Summit Plummet, be sure to wear swimwear that can handle a 120 foot drop! A 1,200 foot family raft ride that can hold up to 6 guests while taking them on a thrilling journey down Mount Gushmore. Tips: If you have fewer than 4 guests you may be paired up with other riders. 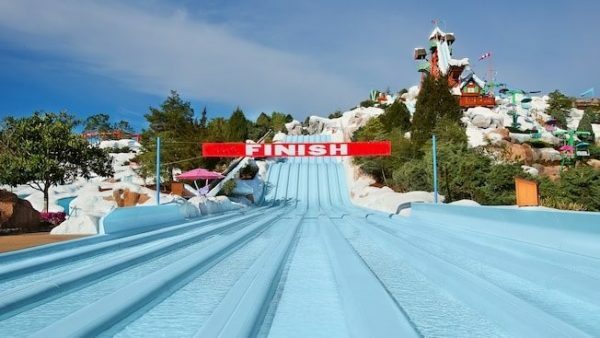 Huge 8-lane downhill waterslide that has you racing others (belly first) on toboggan shaped mats. Tips: This slide doesn't develop the same long lines as the others, so save this one until after you've done those. 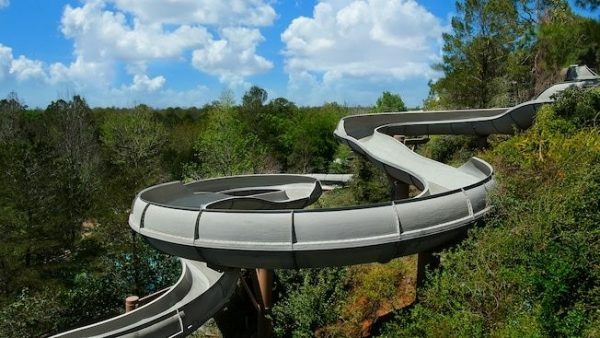 This attraction has guests pair up and race 50 feet downhill within a mostly enclosed set of waterslides. Recommended? Yes, for guests at least 48 inches tall that like thrill rides and enclosed slides. Tips: Since this slide is enclosed, you might want to skip it if you don't like tight spaces. 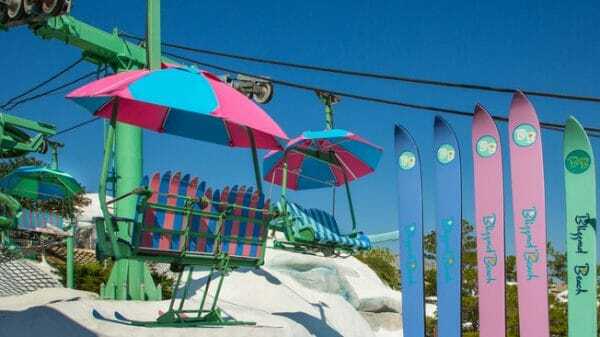 The Chairlift at Blizzard Beach looks and acts like a traditional ski slope chairlift. Using the Chairlift can save you a lot of steps as it takes you to the top of the Green Slope where you can take on Summit Plummet, Slush Gusher, or Teamboat Springs. Guests not meeting the 32 inch requirement can access the Green Slope via the nearby stairs. Suitable for: Guests 32 inches and taller and anybody wanting to ride the slides on the Green Slope. 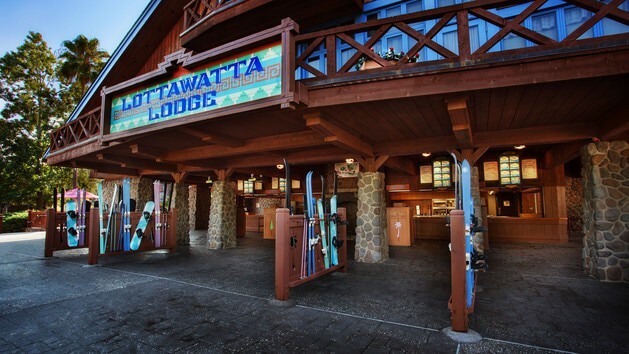 Tips: The lines for the Chairlift build early, so if you want to catch a ride do so first thing in the morning or shortly before close. Navigating to Blizzard Beach from your resort on a Disney bus in many cases means you'll need to transfer at Animal Kingdom. 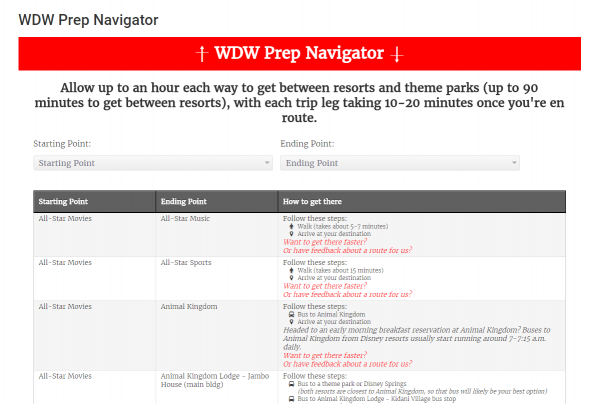 To use the navigator, you simply enter your starting and ending point and it will give you all the different options you have to get from point a to point b - perfect for when you're trying to find the best way to get to Blizzard Beach. 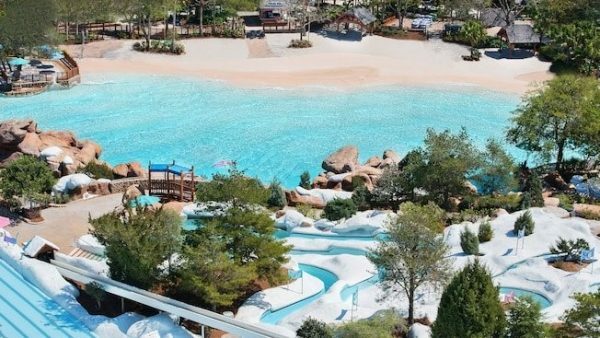 If you prefer to drive at Disney World, you'll be happy to know that parking at Blizzard Beach is quick, painless and FREE. 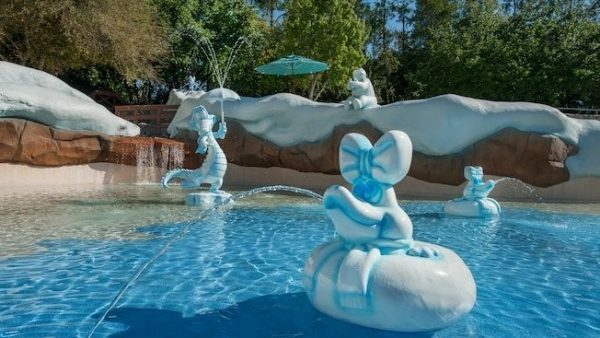 If you'd like a guaranteed spot to have as a home-base while on your visit to Blizzard Beach, Disney offers a couple different options. To book either you'll need to call (407) WDW-Play. Sometimes there are same-day spots available. 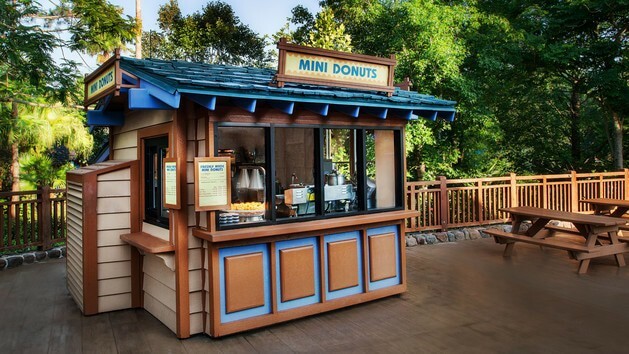 You can check on those at the Shade Shack Rentals inside the park. Like any water park, there are some items you'll probably want to have with you. 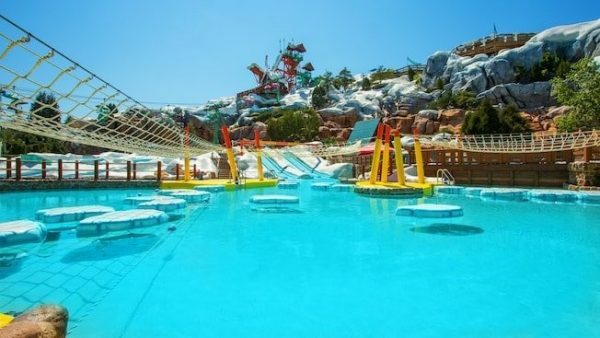 We've got you covered and you can find all of our recommendations for what to bring to Blizzard Beach on our Ultimate Disney World Packing List. 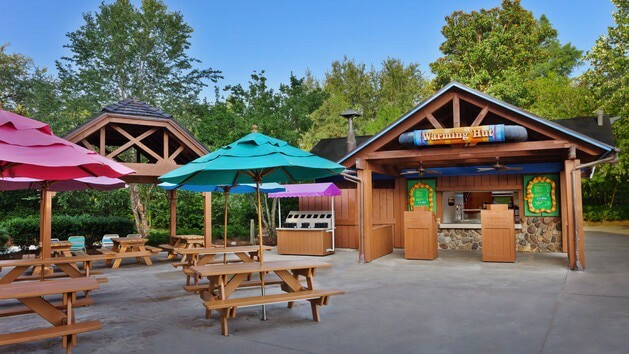 What about towels at Blizzard Beach? Does Blizzard Beach have lockers? 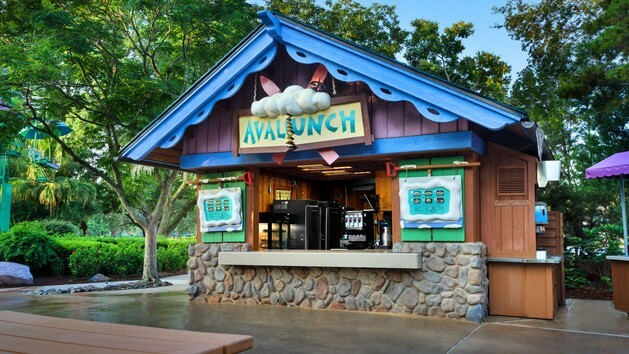 Locker rentals at Blizzard Beach are good for the entire day. Guest are allowed to bring their own Coast Guard approved life jackets, however, for safety reasons the use of a personal life jacket is at Disney's discretion so they may ask you to switch over to one of their vests. Water slides can be brutal on swimsuits so if you're planning on tackling any of them make sure your wearing a suit that will stay in place. Also, suits with any exposed metal of any kind (including rivets) or buckles are not allowed on the slides. Just like the resorts, the Disney Water parks also have refillable mugs. 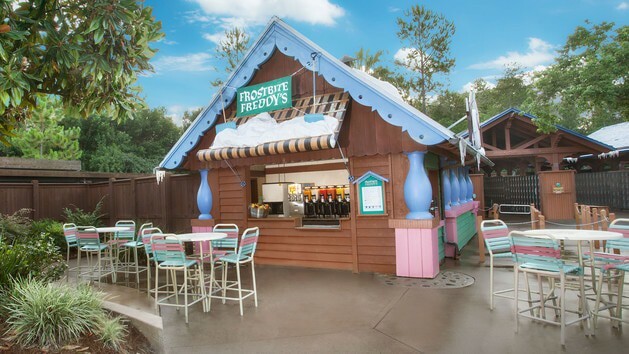 However, your resort mug wont work at the stations in the water parks. You can either purchase a sticker (for roughly $8) that when affixed to your resort mug will activate the drink refill stations or you can buy a new mug (for about $12 plus tax). The mugs/stickers are good for 1 day however you can bring your mug back on subsequent trips and save a few bucks by just purchasing a new sticker. 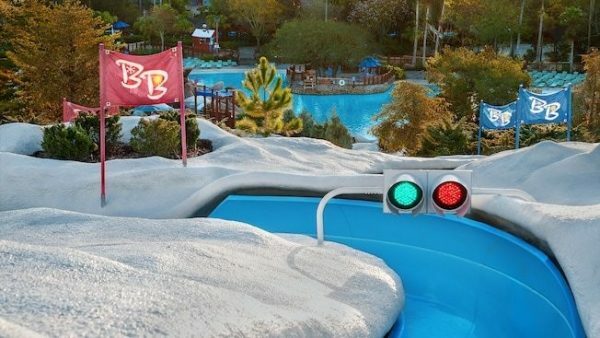 While not a part of Blizzard Beach, the Winter Summerland Miniature Golf Course is located right outside the gates and is a fun activity to pair with time spent at the water park. There are 2 different courses: the Summer Course and the Winter Course. 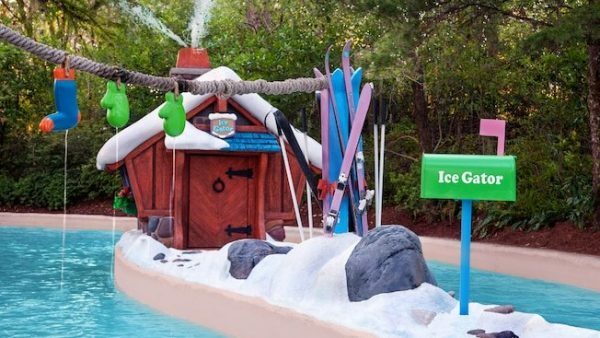 They are both themed around Christmas, but the Summer Course uses sand as a focal point, while the Winter Course uses snow. Transportation to Winter Summerland uses the same buses that go to Blizzard Beach. 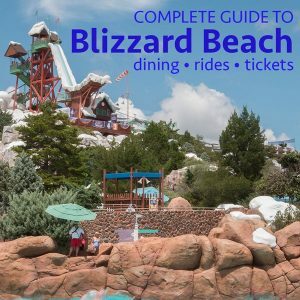 Do you have thoughts or questions about Blizzard Beach? Feel free to share those in the comments.